Life doesn’t stop just because you are planning a move. Moving preparations must be fit in between work, school, and all the other parts of your busy schedule. We put together this list of time saving moving tips to help your packing process go by faster. We know that moving can be a very stressful time. Fortunately, preparation is your best ally in conquering the stress associated with moving. Our moving checklist, developed through years of helping families and businesses relocate, is a comprehensive list of everything you’ll need to start packing. Choosing the right mover can be a difficult task. 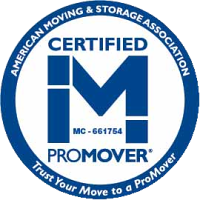 If your mover isn’t reputable, you could risk losing your items of personal and irreplaceable value. Your Rights and Responsibilities When You Move in Texas, courtesy of the Texas DMV, is your step-by-step guide to understanding the moving process, from choosing a reputable moving company to issues such as mover’s liability and insurance.